It is rare to get a review like this one – for many reasons! Life is busy – and most people I know are very busy at all times. ‘Modern Life’, I suppose. 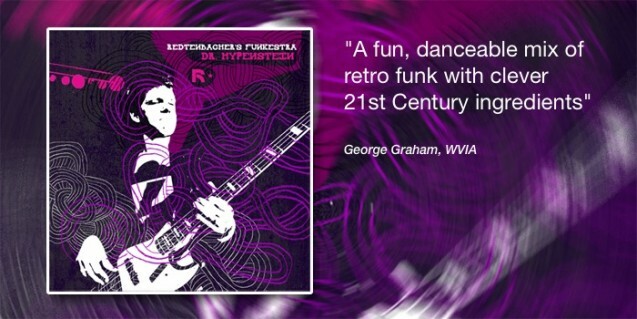 George Graham who in addition to working for the radio station WVIA, runs a jazz record label Chiaroscuro Jazz and produces TV performance shows. And, he has been reviewing records for decades and is naturally swamped with new releases every week – ergo, really busy! For us to be picked to be reviewed in first place is huge, considering that everybody (e.g. Bela Fleck, Dr. John, Bill Frisell, Bobby McFerrin, Lee Ritenour…) sends their new releases to him! And, then reading his review and getting a sense that he really totally and utterly understands what we’ve created is nothing short of astonishing! It feels like he was working alongside Thomas and myself when we were creating the album. He’s got us down! So a big massive THANK YOU to the legend that is George Graham for not only having picked us but also for really having spent the time to get into our music and ‘getting it’. I wish all reviews would be done with such attention to detail, care and passion. Read it HERE, or if you would like to hear George’s review in audio format click HERE.